Hey, who else wants to get all of the cool idol DVDs, but balks because … well, unless your Japanese is at a pretty solid level, you’re going to be relying (at best!) on the vocabulary you do know and sweet, sweet context. That’s no way to live! Our old pal boans agrees. You might remember boans as a Know Your BiStory contributor; he’s also ringleader of a band of merry translators and subtitlers who are all only too happy to hook up the English-speaking world with translations of prominent-and-actually-interesting idol films and the like. We’ve actually rounded up luchre for boans projects before! And now it’s time to do it again. Clicking the image only embiggens it; CLICK HERE TO SEE WHAT THE REAL DEAL IS, as well as your rewards for the different funding levels (mystery prizes!). And, of course, we all win if the project gets funded. Boans has a great track record of putting these things together so far. I’ll let the dude himself add any details that he likes, or entertain questions here in the comments as well as via the GoFundMe, but: It’s only $640 Canadian that we need to raise, approximately $500 U.S. — given how much I know you goofballs spend on idol things, it shouldn’t be too hard to come up with the cash to make this work! ← Are You Ready for the New mistress Album? I know how sketchy it sounds to have some probably-random guy collecting donations. For those of you that don’t know me from some forum or discord or other, I really want to emphasize our track record. 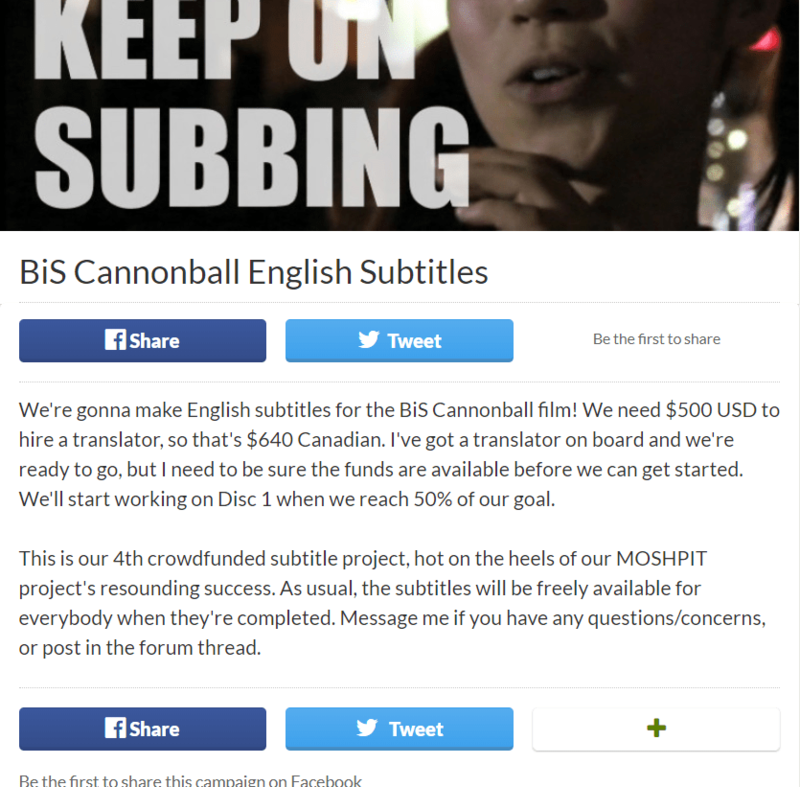 This is our 4th project; we’ve previously crowdfunded and produced subtitles for BiS After All, BiS Road to Budokan and MOSHPiT. I actually had nothing to do with the Bellring Girls Heart project, that was dofphoto!